Periodontal disease is an inflammatory condition, which progressively destroys the tooth-supporting tissues (i.e., bone and periodontal ligaments). 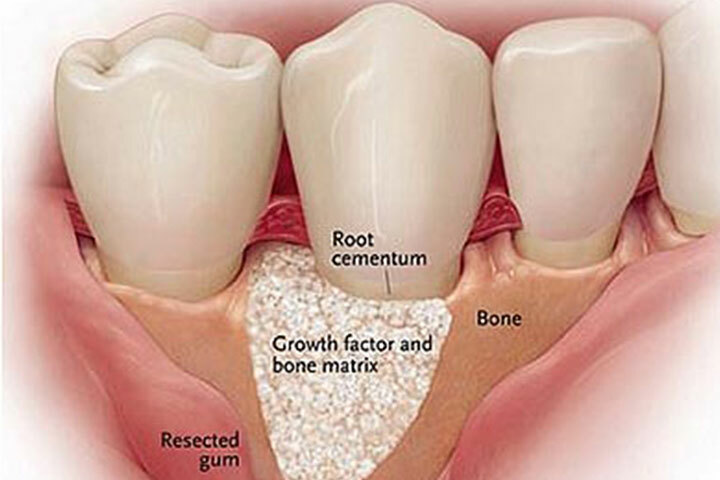 A guided tissue regeneration is an intricate procedure using bone grafting material (i.e., bone graft & barrier membrane) and/or bioactive gels to stimulate the “regrowth” of lost bone and the periodontal ligament. We can do this procedure comfortably under local anaesthesia but the option to have general anaesthesia is also available.